When Indra Nooyi stepped down as chief executive of PepsiCo last year, she was replaced by a man — and the ranks of female C.E.O.s further dwindled. Today, fewer than 5 percent of companies in the Standard & Poor’s 500 are led by women. Ms. Nooyi’s absence will be particularly notable. During her 12 years running Pepsi, she increased the company’s top-line revenues while expanding its offerings to include healthier foods. At the same time, she fended off activist investors calling for higher short-term profits. Her tenure was not without controversy, though. Health advocates pushed the company to reduce the amount of salt, sugar and fat in its products. Pepsi was accused of deceptive marketing practices. 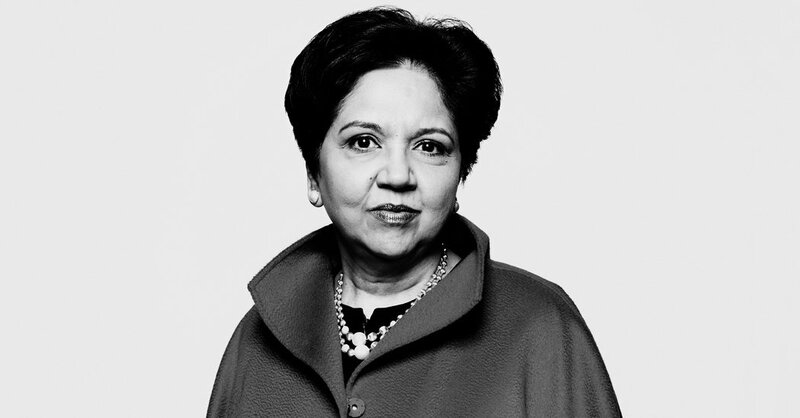 And Ms. Nooyi was among the business leaders who stepped down from presidential advisory councils after President Trump’s response to the violence in Charlottesville, Va., in 2017. Though the White House reportedly considered Ms. Nooyi to be World Bank president, she did not wind up with the job. Instead, she will be teaching at West Point, and recently joined the board of Amazon. You joined the board of Amazon just after its about-face on building a new headquarters in New York. What happened? New York was making an investment in Amazon in the short term to get many years of benefits. It’s very hard to explain the many years of benefits. People just worry about what short-term investment you’re giving. It was a big loss for New York. Philosophically, where do you stand on this? It’s a competitive environment. Every state is competing for those jobs. So it becomes a race between the states, each one putting up the right incentives to get the companies. I’m not sure the companies themselves are demanding it. I think they just said, “We want another headquarters,” and there’s a feeding frenzy from all the states. Should companies really participate in this race to the bottom and pit states against one another? If companies don’t get the incentives, the shareholders are going to say, “Why didn’t you get the incentives?” I’ve heard that before. “Did you get the incentives from the state? Did you get the maximum tax reductions from the state?” The shareholder community expects it from you. I grew up in Madras, which is now Chennai. We never lacked for anything, but we didn’t have much. It was a good, conservative Brahmin family, deeply steeped in learning and education. That was the only focus. The expectation was you would get, at a minimum, a master’s degree. If you got a Ph.D., you’re better off. We were the ultimate nerds. The only difference was, in my case, I decided to be a nerd in some ways and branch out in other ways. I played cricket. I climbed trees. I played the guitar. I did all those wild and wacky things. What was it like for you when you arrived in the U.S. to attend the Yale School of Management? I got dropped off in New Haven and had nobody to help me. They didn’t have support systems for international students. They gave you a map and said: “Go register for classes here. Go do this there.” I was a vegetarian, so I didn’t know what to eat. I needed curds for every meal, but I didn’t know where to get them. Then somebody said: “It’s the same as yogurt. Go get yogurt.” The first few weeks were very tough. But little by little, the international students banded together, because we were all miserable without any support systems. Pretty soon, we were having a wonderful time. What were the big takeaways from your time at Yale? The school had just started, and the basic belief, which is more relevant now than ever, was that companies are members of society, and what you do has to be viewed as through a stakeholder lens, not just a shareholder lens. They steeped all of us in that thinking. There was a moment early in your career when you had the chance to go to a few different companies, including G.E. and Monsanto. Why did you choose Pepsi? Wayne Calloway, who was then C.E.O. of Pepsi, was a man of few of words. He called me at the last minute, just before I was going to join G.E., and made an amazing pitch. He was on the board of G.E., and he said: “I hear you’re going to join G.E. It’s a great company, and Jack Welch is a great C.E.O. But my need at Pepsi is greater than Jack’s. We don’t have somebody like you here, and you’ll make a bigger difference at PepsiCo.” They didn’t have somebody of my ethnicity or international outlook who was female in senior management at PepsiCo. When did you start thinking about the need for Pepsi to be more than a soda and snacks company? The first recognition came, I think, in 2000, when I was head of strategy. The marketplace was changing. It was changing slowly, but we had to make some moves before it changed too fast. We could see articles on health and wellness were picking up speed. We bought Quaker Oats in 2000 because we had no food brand that could play in the morning. It was also clear that beverage habits were changing. Our own employees’ consumption was changing. It went from regular Pepsi to Diet Pepsi and Pepsi Max. Everywhere you looked, you could see that consumption of low-calorie, zero-calorie products was increasing. How do you get a big multinational company to buy into such a dramatic change in strategy? If the C.E.O. doesn’t feel the change, as opposed to just talking about the change, people will see right through it. So the first thing I had to do was make sure that whenever I talked to employees about it, I shared experiences, observations, data. I talked about water shortages in parts of the world. I would show them examples of plastic waste, the lack of recycling programs and what that could do to the environment. And I would talk about people’s consumption of fat, sugar and salt. Plenty of people questioned the strategy. What made you stick with it? But if you’re really committed to health, why keep selling soda and chips? Mountain Dew is a fantastic brand. It’s a great franchise. I’m not here to tell you what to eat or drink. My job is to give you a choice of products, between fun for you, better for you and good for you. I’ll give you nutritious products. I’ll give you low-calorie products. I’ll give you indulgent products. I have to make sure that the good-for-you products aren’t more expensive than the fun-for-you products, and that the good-for-you products don’t taste awful while the fun-for-you products taste great. But if I make all the products ubiquitously available, priced reasonably the same and they all taste great, ultimately it’s a consumer choice. And if I put the right amount of advertising dollars between the whole portfolio, I’m letting the consumer decide. What did you learn from your time fighting with activists such as Nelson Peltz? What was it like working with President Trump on the Strategic and Policy Forum? Each of the meetings was constructive. He gave us his undivided attention. He listened to everything we had to say. And he could not have been nicer. He went out of his way to drink Diet Pepsi when I was there. Was it a mistake to disband the forum after his response to the violence in Charlottesville? Yes and no. We all regretted disbanding the forum. But the fact of the matter is, there were other issues that took the focus away from the good work we were doing. And when you’re facing that sort of criticism, it’s very hard to remain engaged. What is it going to take to get more women in the C-suite?